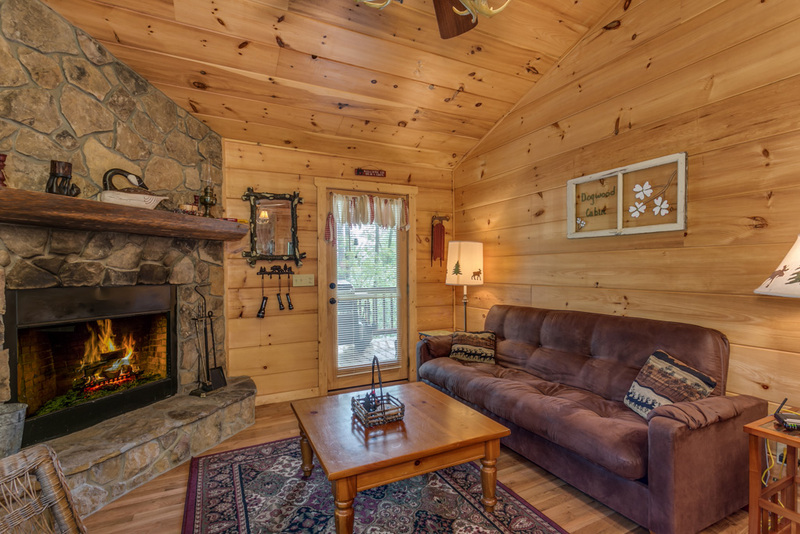 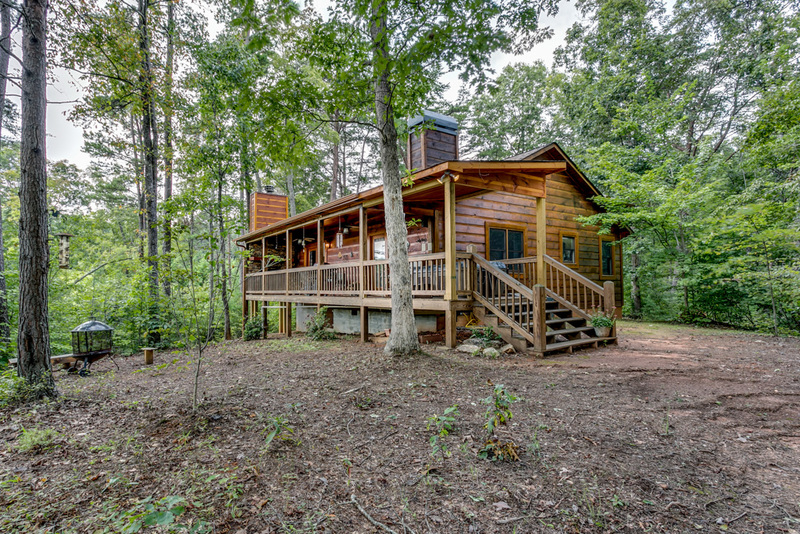 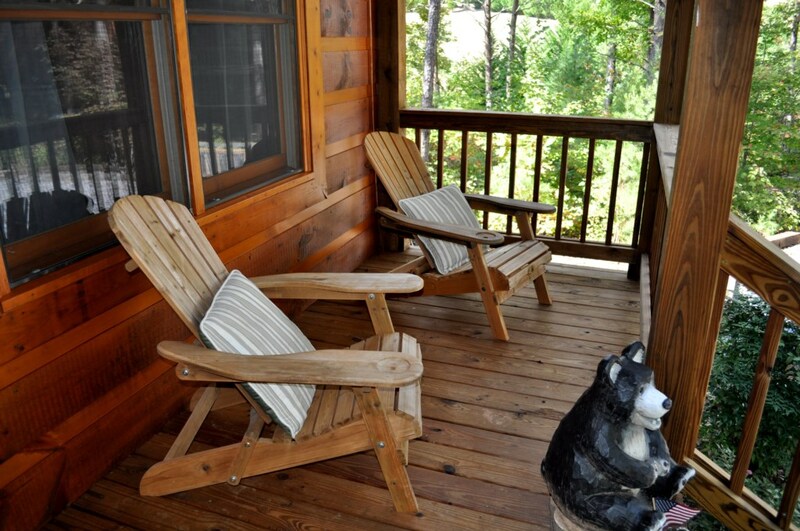 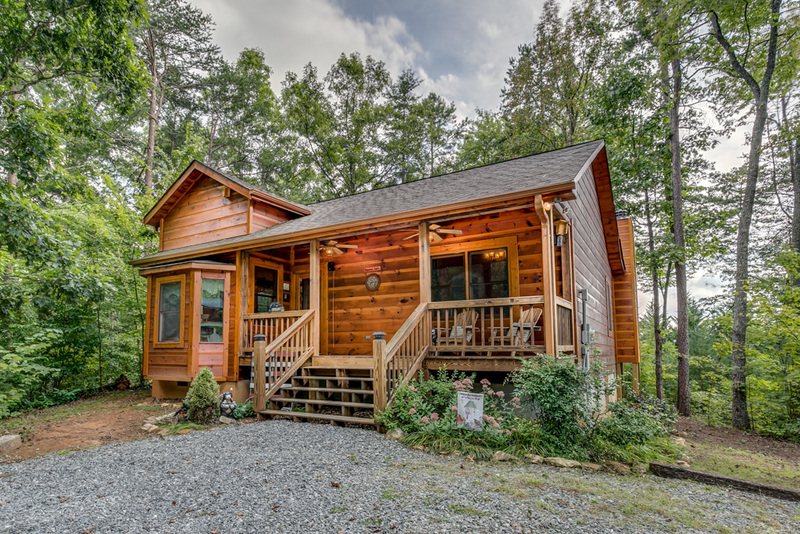 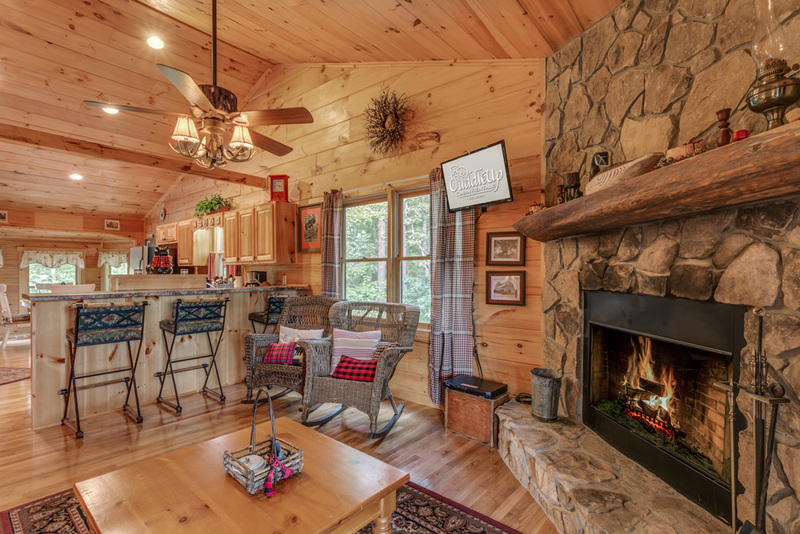 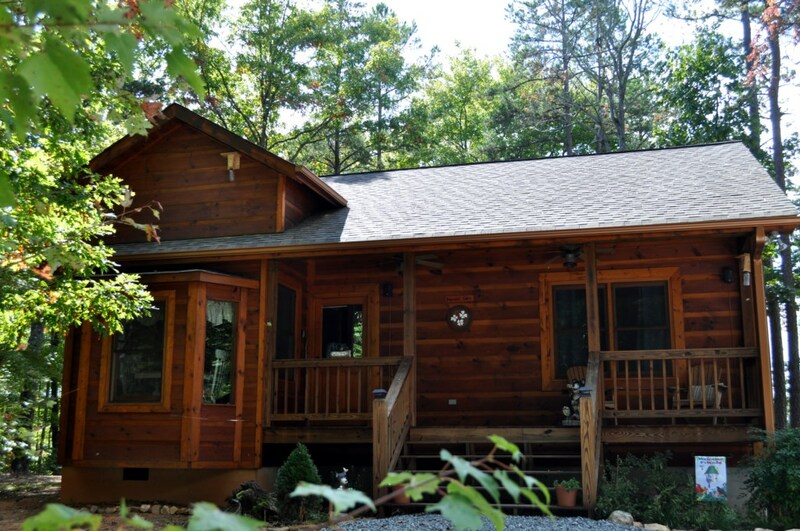 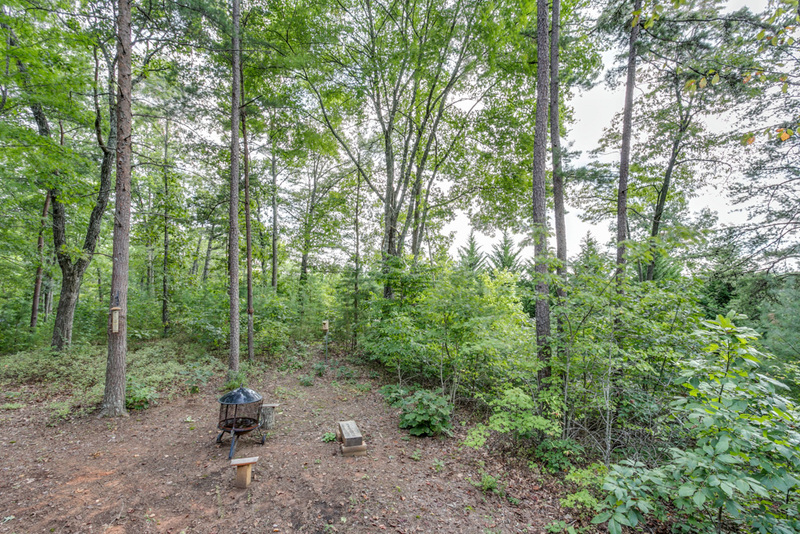 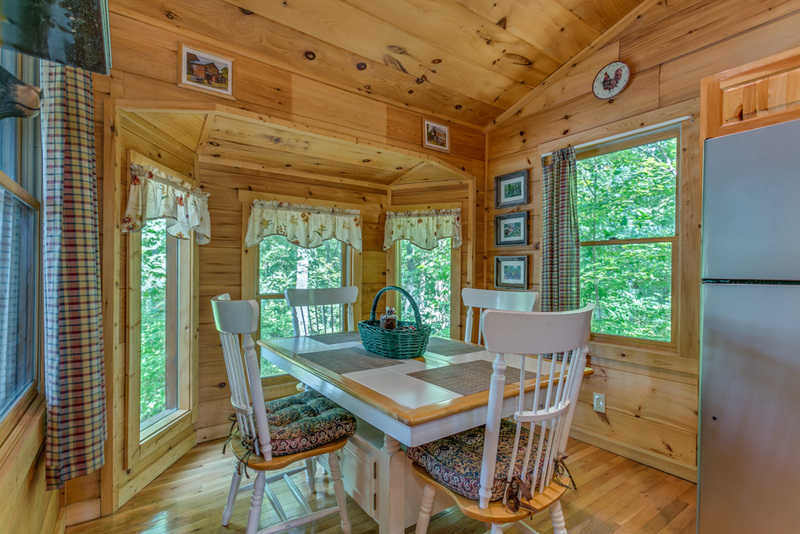 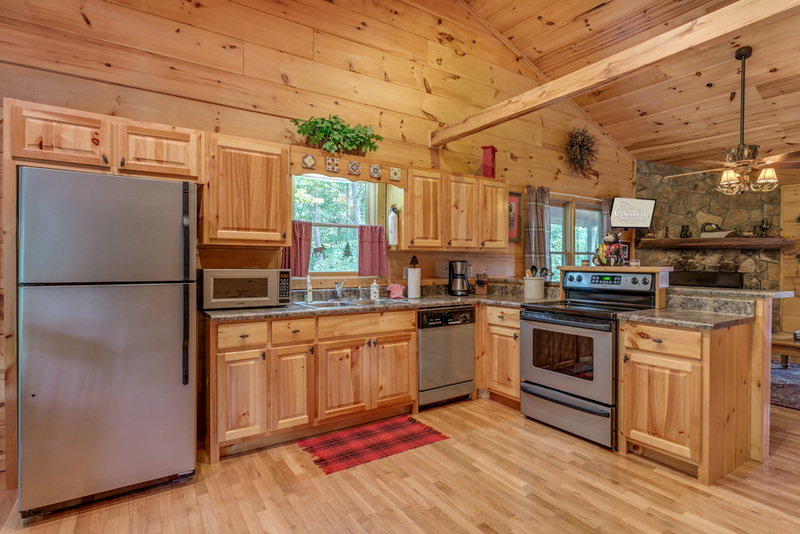 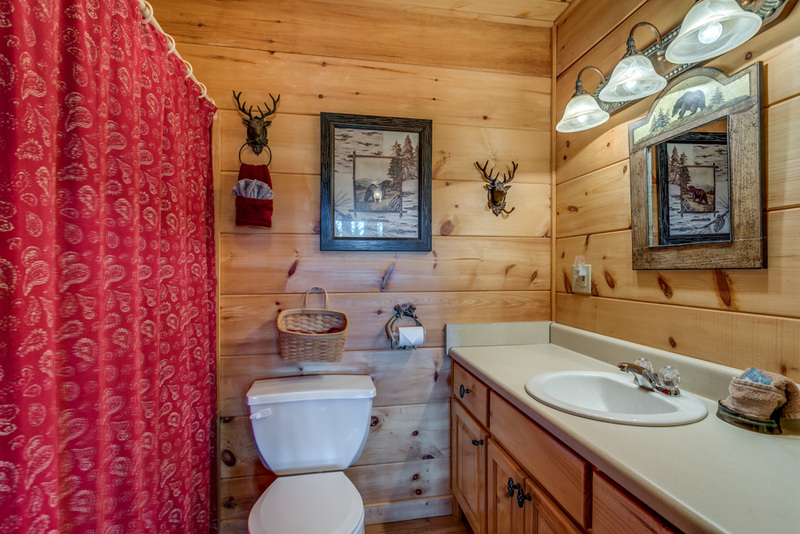 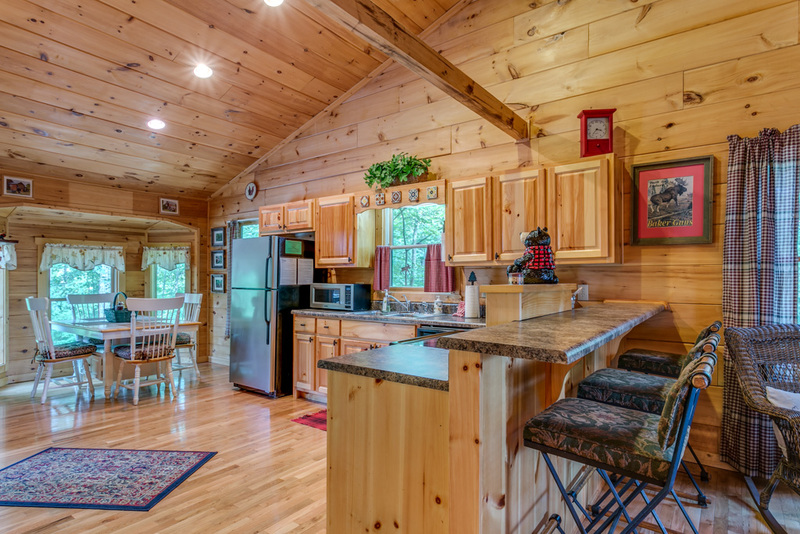 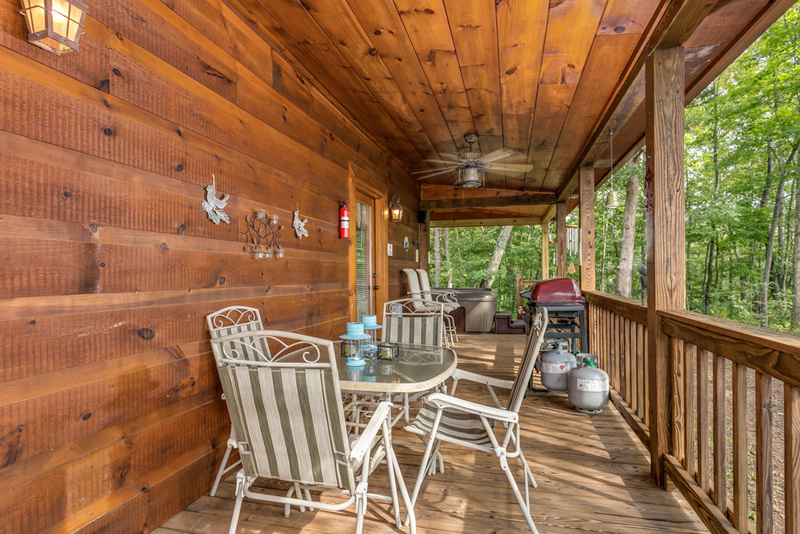 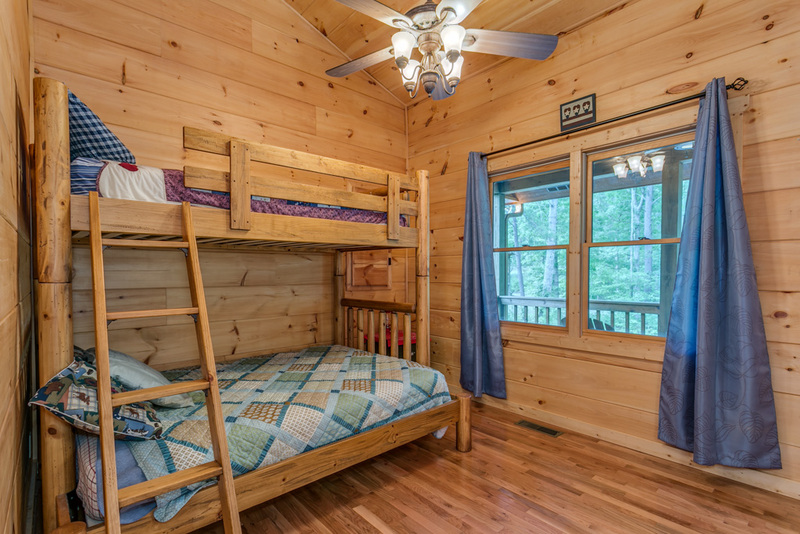 Serene and packed full of charm, guests are sure to fall in love with Dogwood Cabin! 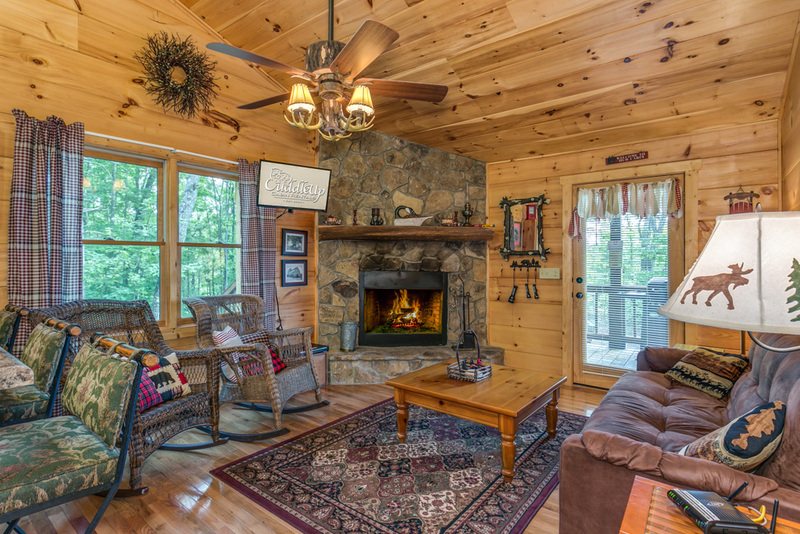 Conveniently located just minutes outside Blue Ridge, GA guests of Dogwood Cabin have a short drive to reach the Blue Ridge Scenic Railway Depot in historic downtown, either Lake Blue Ridge or Lake Nottley, or even the world class whitewater rapids of the Ocoee River. 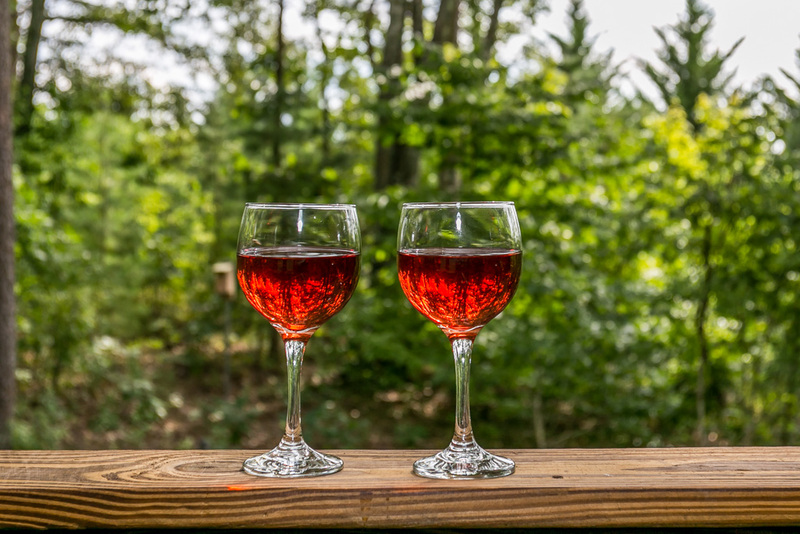 Area attractions abound to fill guests’ days with shopping, hiking, horseback riding, even taking a chance at driving a tank at nearby Tanktown USA! 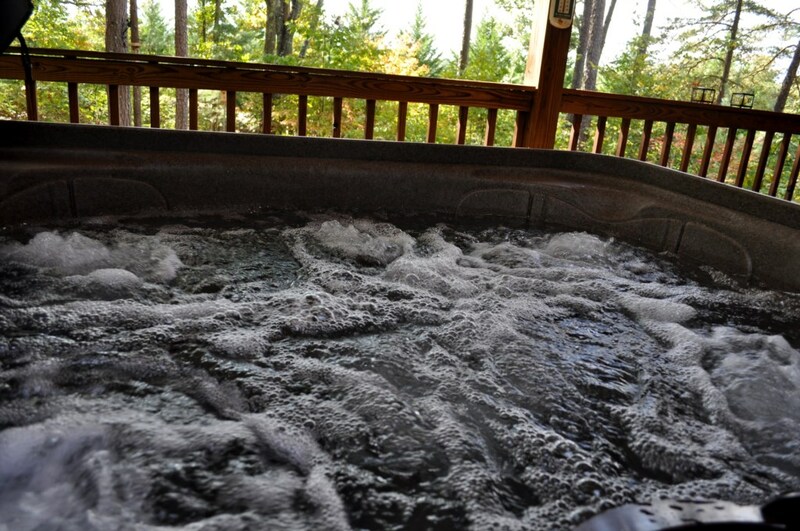 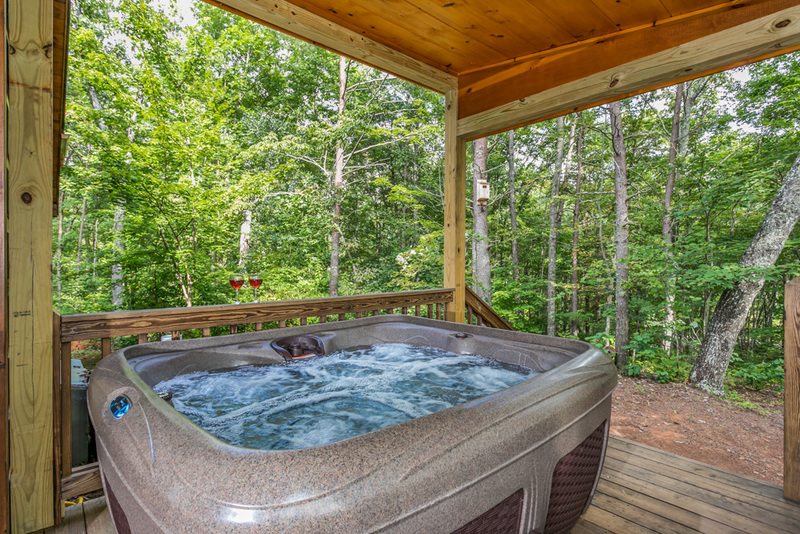 Dogwood also appeals to those looking for a more low key vacation, full of home cooked meals, long soaks in the hot tub and quiet nights by the outdoor fireplace. 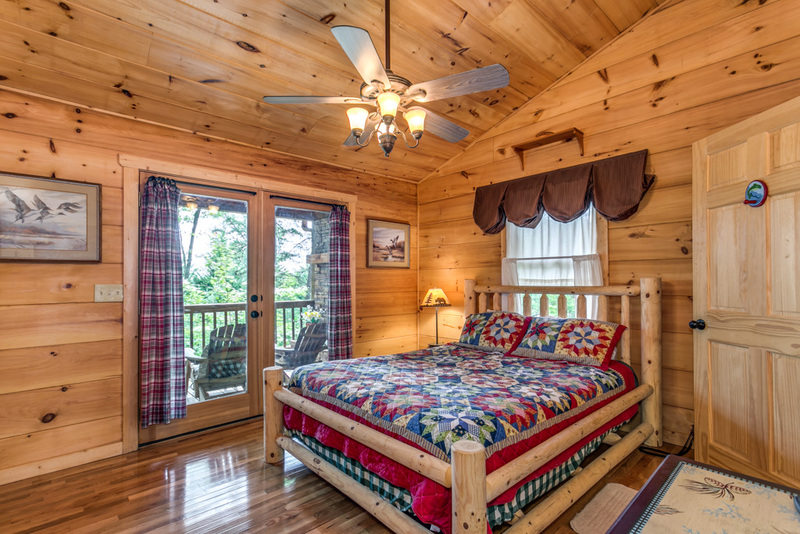 Amenities This cabin does NOT allow pets Seasonal Wood Burning Fireplace in Great Room Flat Screen TV in Great Room with Dish and DVD Peaceful Wooded Lot Wi-Fi Covered 4 Person Hot Tub Covered Outdoor Fireplace Outdoor Dining Area Gas Grill Propane for Gas Grill Queen Bed in Main Level Master Suite with Covered Porch Access Bunk Beds in Second Main Level Bedroom with Full Bed on bottom and Twin on top Bunk Bedroom has Flat Screen TV with DVD and Dish Sheets provided for all beds Plates, bowls, glasses, & flatware to match cabin occupancy Basic kitchen utensils Basic kitchen pots & pans Microwave Blender Coffeepot & filters Starter Roll Paper Towels 2 Dishwasher Detergent Packs or Hand Dish Soap 3 Kitchen Trash Bags Bath linens provided for each guest Iron Ironing board Washer & Dryer Central Heat & Air Land Line for Local Calls (long distance blocked) Easily accessible, conservatively priced, and constructed with a spacious one level floor plan; Dogwood Cabin really puts the best cabin amenities and mountain vacation at your fingertips. 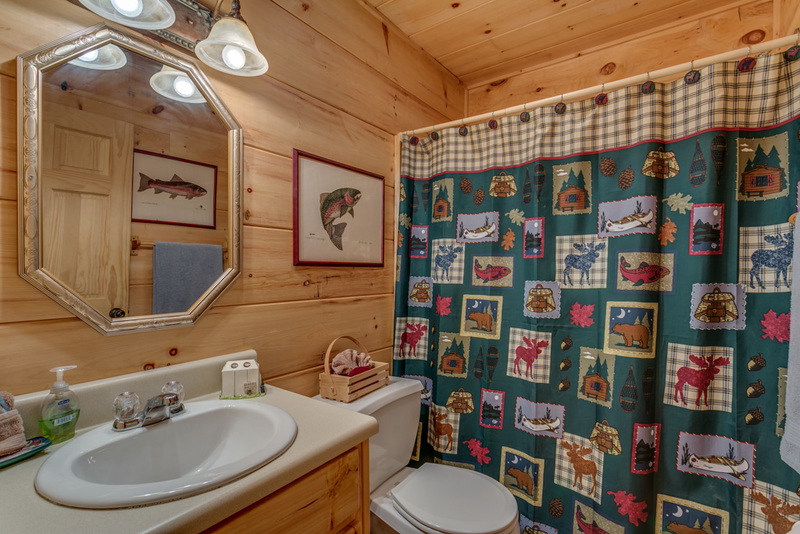 The open and airy design of Dogwood Cabin gives guests the space and cabin atmosphere they desire, but at a price point that won’t leave you feeling as though you are wasting your vacation dollars with unused space. 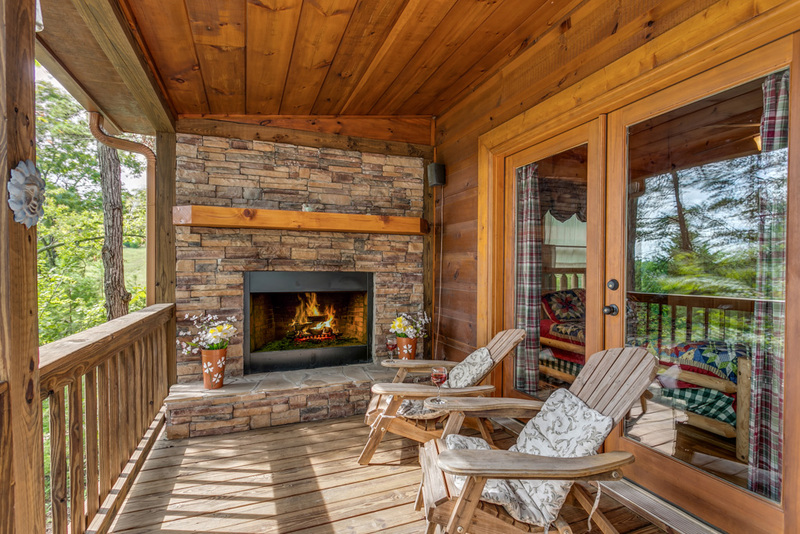 A seasonal wood burning fireplace in the great room keeps movie nights nice and toasty, while the covered outdoor fireplace and Adirondacks just off the master bedroom looking over the wooded backyard provide the perfect backdrop to kick back with a glass of wine or good book!